It seems we can always use extra space in our kitchen, and a cart with wheels may be just the thing that can help you. There are many ways you can use such a cart, including to hold appliances, such as your microwave, toaster, can opener, and other appliances you do not want to keep on your counters all the time. In addition, it could be used for extra storage, such as to hold canned goods, your bread box, as a baking center, or almost any other use you can think for it. I like this cart because it has a 250 pound limit per shelf meaning it holds a lot. Plus, it rolls, which means that you can move it around wherever you need something, without having to lift everything off the cart. 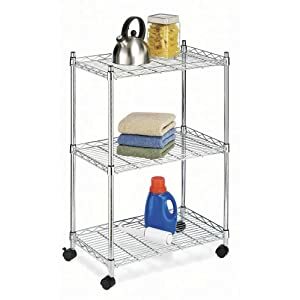 In addition to using this cart in your kitchen, it can also be used almost anywhere else you need extra storage, such as in your laundry room or bathroom. Your imagination is really the limit for places to use it in your home. You can see even more kitchen storage solutions and organizer product recommendations and ideas. Join in and write your own page! It's easy to do. How? 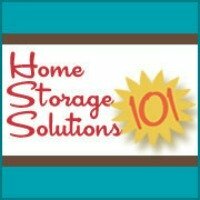 Simply click here to return to kitchen storage solutions.